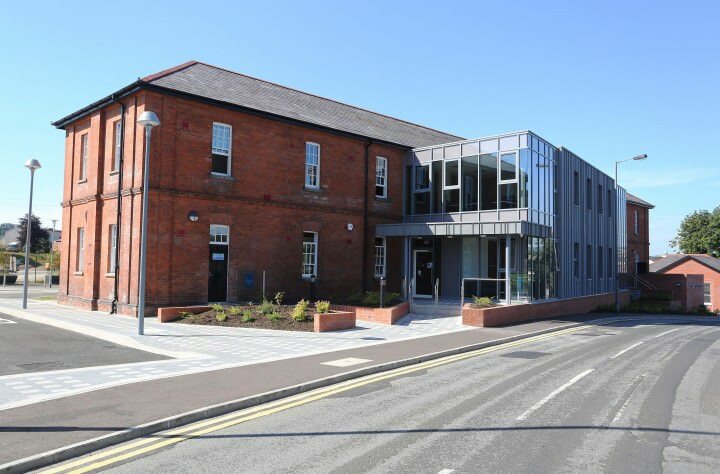 Through a comprehensive and sympathetic refurbishment and extension, this Grade B2 has been transformed to provide high quality office accommodation. Spaces include 19 self-contained offices and breakout and meeting spaces for new and growing Small to Medium Sized Enterprises (SMEs). This listed building is located in the landmark Ebrington Barracks, a former military installation with important historic and architectural history. The build achieved BREEAM certification.